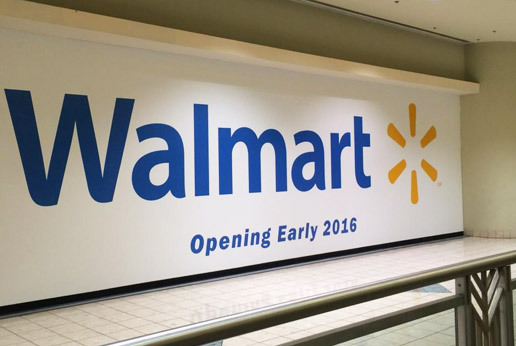 Big brand impact shopping mall barricade graphics for Walmart. 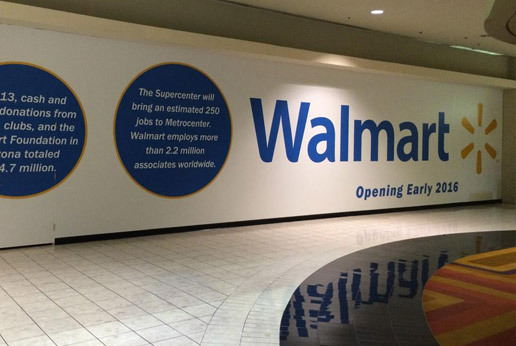 Innovative thinking, leadership through service and above all, an unwavering commitment to saving people money is the mission at Walmart and one that mirrors what AGRetail are all about: we strive to be an innovative service lead company offering clients high quality retail graphics at value for money. 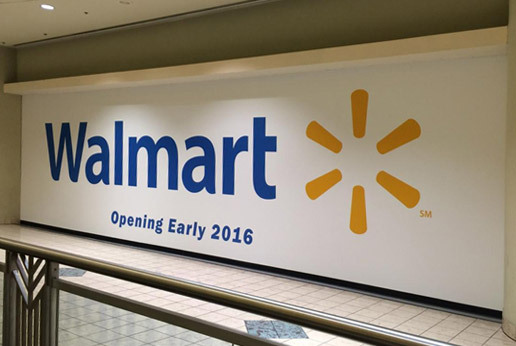 This recent shopping mall barricade graphics project for Walmart demonstrates our level of experience working with national retail chains… in this case the largest retailer in the world!